While perusing Etsy last week I was intrigued by one of their featured sellers, Becca Stadtlander of Covington, Kentucky. Becca paints images inspired by mother nature and everyday life. She drew me in...so I wanted to share. As Becca shared, "My favorite paintings start out as images that zoom into my head out of nowhere. It's usually always something simple- like an object or an animal- and I know I just need to paint it and get it out of my head." Becca offers reproductions of her paintings in both print and card form. 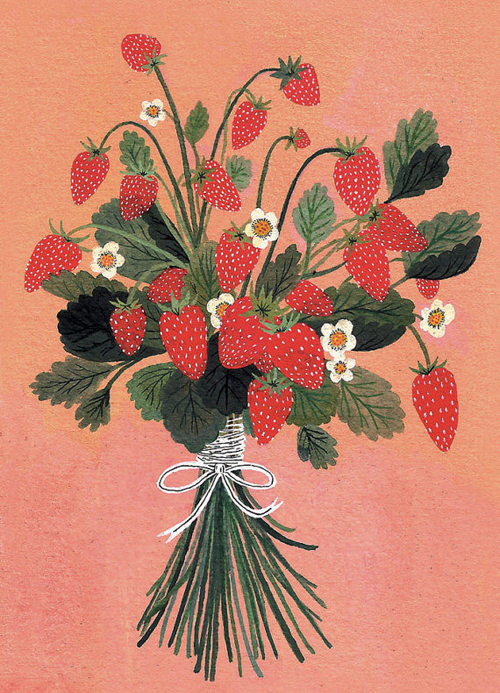 A bouquet of strawberries would be oh so fun... Becca's work has a sense of happy comfort, don't you think? 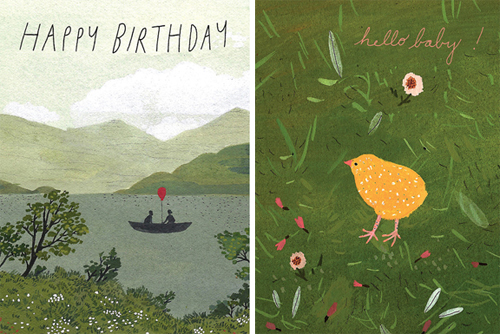 See all of her lovely illustrations here.